"The power of a book lies in its power to turn a solitary act into a shared vision". A good book on sports should have the ability to take you through the time periods with visualisation of every event. The readers should be able to engage themselves with the book and eventually, they should be able to enhance their curiosity by digging deep into the facts that the book possess. In India, cricket is much more than a game. It's a way of expressing your feelings and emotions, on the field, in the crowd and even in your own room. The people in this cricket frenzy country follow the game with utmost passion, to add to it they also follow their favourite cricketers and moments. People in India are already well aware of the facts when it comes to cricket. There knowledge and understanding of the game is better than most people across the globe. The times have gone when cricket was treated like a sport, now its a way of life and its place in India is much bigger than that in the 70s and 80s. Boria Majumdar's 'Eleven Gods and a Billion Indians' digs deep into Indian cricket. The book takes you through the thick and thin of Indian cricket with exclusive behind the scenes stories and interviews. The fascinating book reveals various incidents in Indian cricket, it takes us into the dressing rooms and lets us live in the situation. From the cricket in the late 1800s to the business model of the IPL, the book describes the chronicles of history with its twists and turns to perfection. The author forces us to re-imagine the activities which go behind the scenes in the BCCI, from the time of the Dalmiyas to the Srinivasans, the author explores the administrative system of the BCCI. From Sourav Ganguly's overseas triumph to India's recent Johannesburg victory against South Africa, the author has described everything brilliantly. 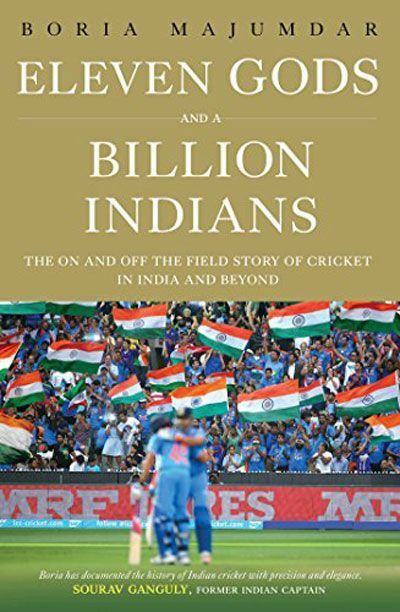 Eleven Gods and a Billion Indians offers a fascinating insight into Indian cricket. 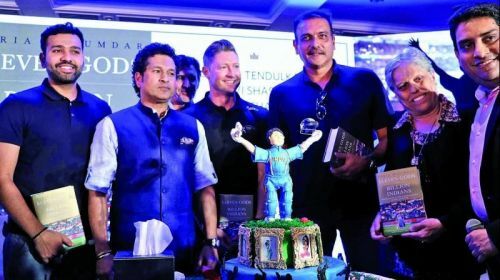 The book is a must-read for cricket fans of this generation. Unlike other cricket books it does not only talk about one or two innings but the whole period of Indian cricket. The book sheds light on various topics, it offers a complete understanding of the evolution of the game with never heard insights. The Monkeygate incident, the suspension of Lalit Modi and the match-fixing scandal has also been covered in this best seller. "I will be working on the story of Indian badminton next. the revolution that is undergoing. What takes to produce champions, the process. Research is on at the moment. Eleven Gods has been a decade in the making. I always wanted to write the story in the most objective manner possible. But for that, you need access and confidence. Finally, I had both!! So there you have it", said Boria Majumdar while speaking to Sportskeeda". "Working on a book of 500 plus pages is a very lonely ask. Aisha(his daughter) may have often wondered why her father was just looking at the computer feeling lost. And then when the process is over you feel a sense of alienation. Will the readers validate the effort? Will people, the Billion Indians, feel you have done justice? It is a complex story and there can never be a complete capture of an evolving story. That’s when feedback like this from people who I don’t know or have never met makes a big difference. Very humbling and gives you a deep satisfaction. The days spent looking at the computer weren’t a waste after all". Boria Majumdar also shared an interesting story on how an unknown man came to him during a flight and asked him about the book. "Did this really happen", asked the stranger. It's a tough task to write a book consisting of 500 pages but Boria Majumdar has delivered the perfect recipe for an Indian cricket fan. For an Indian fan of our generation, it's important to know of the events which happened during the previous phases. This insight into Indian cricket makes the book a must-read.